The best-selling book Our Ultimate Reality, Life, the Universe and Destiny of Mankind, and 7 years of weekly newsletters has transformed for the better the life of countless people around the world over the last decade. Our Ultimate Reality has become the the de-facto reference for many on all Spiritual, Metaphysical and Life subjects and how to realise a life of peace, harmony, fulfilment, happiness and fulfilment of true potential. A Google search for - Adrian Cooper Our Ultimate Reality - will typically display over 50,000 web pages dedicated to these writings, constantly rising as increasingly more people seek crucial answers on the meaning of life, why we are here, how to live life to the full, what we should be experiencing on Earth and what lays ahead when our time here is over. With the world sinking ever further from Our Divine Source, countless millions of people intuitively feel there is much more to our purpose on Earth than a daily struggle to survive. Our Ultimate Reality, Life, The Universe and Destiny of Mankind reveals our Divine nature and purpose, answering once and for all the true meaning of life and how to enjoy a life of peace, harmony, health, abundance, self realisation and fulfilment, and what to expect when the time comes to move on. Testimonial: "It is rare indeed, when a book of this monumental importance comes along. For contained within its covers, are answers to all manner of questions spiritual seekers will certainly ask along the path. It appears that every possible topic has been covered in this book. Just a few examples include: healing, meditation, dreams, quantum physics, universal laws, descriptions of the non-physical realms and much more. Reading Our Ultimate Reality has left a profoundly deep impression on me, as I have been a seeker for most of my life. The brilliance of this book, is both that the author details all the subjects so clearly, and that these details all ring true for this reader. My advice to anyone interested learning what their ultimate destiny is, and the true nature of this multi-dimensional universe, would be to read this book." ~ Nicholas F. Falcone, Public Criminal Defence Attorney (Retired), Petaluma, CA. Click "Read more" to discover how Our Ultimate Reality, acclaimed as a "modern day bible" can transform YOUR life. Our Ultimate Reality has been written in a modern, understandable, non-mystical, non esoteric straightforward way understandable by people of all ages, nationalities and life circumstances, setting out in a concise, logical, easy to follow format, all you need to know in order to understand, pursue and realise your own true life potential and destiny, as humanity transitions from an era founded in darkness and ego, selfishness and taking, to a new era founded in Light and Love, compassion and giving. While this may not seem to be the case with the world in the sad state it is today, as the saying goes, "it is always the darkest before the dawn". All humanity is entering a new dawn. Every single human being is here to help dispel the darkness and to participate in bringing forth a glorious new era of Light for humanity. Our Ultimate Reality, Life, the Universe and Destiny of Mankind is the companion and de-facto reference on living and the meaning of life for countless people around the world. Click below and read on to learn how this book can help you as well.Here is the complete list of chapters contained within this life-changing book and what you will discover that can transform your life doe the better as it has countless others. Chapter 1. The Nature of the Universe: In this chapter you will, from the outset, begin to discover the true nature of the infinite Universe in which we live and move and have our Being. This is not related in any way to the so called "big bang theory" of science. Chapter 2. Definition of God: The true definition of God the Universe as opposed to the religious definition of God. Chapter 3. Hinduism: This is the first in a series of chapters that compares, contrasts and analyses the major non-dogmatic belief systems of the world, and how they describe, teach and agree with Universal reality. Chapter 4. Taoism: Another of the great and ancient traditions encompassing great wisdom from which everyone can learn. Chapter 5. Buddhism: Buddhism enjoys a considerable number of followers around the world and not without reason. Discover the how Buddhism approaches the ancient mysteries including the "paths" forming the basis of this ancient culture. Chapter 6. The Wisdom of the West: Aside from the popular, orthodox, dogmatic Western religions, there are also many ancient and great sources of wisdom of the Western hemisphere, that everyone will benefit by understanding understand. Chapter 7. The Principle of Mentalism: This is one of the great Universal Principles that is always present within our lives. Discover how The Principle of Mentalism is responsible for many so called "psychic" and many other "phenomena". Chapter 8. The Principle of Correspondence: Another important Universal Principle, teaching the truth that there is direct correspondence between all great planes of reality, just as there is in life. Chapter 9. The Principle of Vibration: Discover the important truth about Vibration and its relationship with Energy, together constituting the fabric of the Universe under the influence of Mind. Chapter 10. The Principle of Polarity: Find out how the Polarity Principle manifests in the Universe and in physical life. Chapter 11. The Principle of Rhythm: Discover how Rhythm affects everything in the Universe including you and everyone and everything around you. Understanding this Principle will help you to understand other things influencing your daily life. Chapter 12. The Principle of Cause and Effect: The Principle of Cause and Effect is one of the most important and exalted Universal Principles. Discover why this is so, how it causation affects you, and how to ensure the effects you experience the ones you really want. Chapter 13. The Principle of Gender: Discover how everything in the Universe, not just humans, flora and fauna, has both masculine and feminine aspects. Chapter 14. The Emerald Tablet of Hermes: Discover the meaning and symbolism behind this very important and ancient text found inscribed on a green tablet, symbolically documenting the nature of the Universe and how the Universe itself came into being. Chapter 15. The Kaballah: A philosophy and tradition originating in ancient Judaism and an important Western source of Universal wisdom. Chapter 16. The Wisdom of Quantum Physics: Quantum Physics has emerged over the last century or so as an extremely important source of understanding of the nature of the Universe at a scientific as opposed to mystical level. This really is extremely important knowledge that everyone needs to know, understand and reconcile with the wisdom of the ages. Chapter 17. The Wisdom of the Ages: Discover how, despite the many different religions, traditions and cultures of the world, there is ultimately only one truth of the World and of the ages. Chapter 18. Wisdom from the Inner Spheres: Discover how Astral Projection and Out of Body Experiences are so valuable in discovering our true immortal nature, and of the destination for most people after the change known as "death". Chapter 19. The Universe of Vibration: Learn more about the Principle of Vibration, which, together with Energy is absolutely fundamental to the entire Universe and everything within the Universe at all levels of life and reality. Chapter 20. The Principle of Cause and Effect: Find out more about the most exalted of the Universal Laws, Causation, and how this knowledge is extremely important to you. Everyone needs to understand how effects arise from corresponding causes. Chapter 21. The Universal Elements: Learn the importance of the Universal Elements of Fire, Air, Water and Earth. These are nothing whatever to do with the familiar Earth substances of the same name, but are characteristics of Energy and building blocks of life. Chapter 22. Vital Energy: The entire Universe in all planes of life is a manifestation of conscious, intelligent, vibrating Energy, known by many names. Discover more about Energy and Its importance to all life, and everything in existence. Chapter 23. Psychic "Phenomena": In recent years so called “psychic phenomena” have become increasingly more high profile. Discover the reality behind these so called "phenomena". Chapter 24. Remote Viewing: Remote Viewing has become famous in recent years due largely to its covert use by major governments for collecting information on the actions and secrets of other governments. Find out more about remote viewing and how it works. Chapter 25. Telepathy: Learn about the reality of telepathy, the natural ability of communicating between Minds. Chapter 26. Karma: Find out the truth about karma and how it affects you as well as everyone else. Chapter 27. The True Nature of God: Discover the true and glorious nature of God as opposed to the personified deity called "God" by the various major dogmatic religions of the world. Chapter 28. The Truth about the Change known as "Death? ": This is without doubt one of the most important chapters in the book. Everyone must know the truth about the change known as "death", and where you will go after "passing on". Discover also how your thoughts, beliefs and expectations among other important factors will influence your destination, and how they affect loved ones after their passing. Chapter 29. Animals After Passing: Many people and religions of the world believe that humans hold a privileged status during and at the end of "life". Discover the truth about animals after passing. Chapter 30. Ghosts: Find out the facts about the departed humans often known as "ghosts", and about the phenomena of "haunting". Chapter 31. Reincarnation: Discover the important truth about mysteries, understood by very few, of reincarnation. The truth of reincarnation is absolutely vital information that everyone should know and understand. Chapter 32. Suicide: Learn what really happens to those people that feel so compelled to take their own physical life. Chapter 33. The Inner Bodies: Find out about the "invisible inner bodies" that we all have in addition to the familiar physical body, and what they mean to you. Chapter 34. The Astral Body - The Soul: Discover the true nature of the Astral Body, also known as the "Soul". Chapter 35. The Mental Body - The Immortal Spirit: Learn all about the real "You", who You really "Are" and the importance of the nature of your Spiritual "body". Chapter 36. The Higher Self: Find out about the true nature Higher Self and Its importance to you on your path and in life. Chapter 37. The Physical Universe of Matter: The physical Universe of matter in which we are focussed for now is not all it seems. Find out the secret of what the physical Universe really is, especially relative to the Universe of Energy as a whole. Chapter 38. The Planes of The Non-Human Mind: In addition to the levels of consciousness that constitute the levels or planes of the Human mind, there also exists many other levels of consciousness and Energy that includes everything in existence including all animal, vegetable and mineral life. Find out about these great planes of life. Chapter 39. The Planes of The Human Mind: These are the levels of consciousness currently occupied by the various levels of the human Mind in accordance with individual Spiritual evolution. Discover the range of levels of Energy and consciousness currently occupied by humans, where humans are now on the Universal scale of life, and where we are going. Chapter 42. The Belief System Territories: I cannot stress enough that this is absolutely crucial information for anyone who holds any sort of religious belief. If you are hold any religious beliefs, you must read this and take notice while you still can. Chapter 43. Lower Level Astral Entities: Learn all about the lower level Astral entities, how many of them come into being, and how they can adversely affect people living in the physical world. Chapter 44. The Mid-Astral Planes: Once again this is absolutely crucial information for everyone without exception. This is where most "decent" people will find themselves after the change known as "death". What you expect and believe about "dyeing" and "death" can make a huge difference to your own experience before, during and after the change known as "death"
Chapter 45. The Inner Astral Planes: Often erroneously knows as the "upper Astral Planes". Discover the realities of these idyllic worlds, sometimes known as the "Summerland", and the nature of humans who have evolved to these peaceful, harmonious spheres. Chapter 46. Fairytale Beings: Most people have heard of the children's favourites from their favourite books, the "Fairies", "mermaids", "gnomes" and other mystical and charming Beings. Learn all about these Fairy Tale Beings and of their true nature. Chapter 47. The Mental Planes: Also known as the Spiritual planes. Discover the glories, splendours, harmony, peace and tranquility of the inner spheres of life, beyond form, that people transition to after completing their experiences within the Astral realms. Chapter 48. The Celestial and Cosmic Planes: The Celestial and Cosmic planes include the most exalted spheres of life, the highest levels of the Mental planes. Learn about the Spirits who, having transcended the learning experiences and quest for perfection in the Astral and lower Mental Planes, now reside within these glorious spheres of life and reality that await everyone in due course. Chapter 49. Angels: Almost everyone will have heard of "Angels", often depicted with wings and known by such well known names as Raphael, Michael, Gabriel, Auriel and Metatron. Learn all about these beings and what they really are and what they represent. Chapter 50. The Holy Guardian Angel: Most people have heard of the "Holy Guardian Angel" and perhaps that everyone might actually have one. Discover the true reality of the Holy Guardian Angel, and prepare to be surprised. Chapter 51. Spirit Guides: While we live out our lives on planet Earth it is often said that we have Beings, often known as "guides" watching over us from the inner worlds of the Astral. Discover the real truth about Spirit guides and the services they gladly offer. Chapter 52. Communications With The Inner Spheres: We are never alone. Spirits, high Intelligences of the inner spheres of life and reality are endeavouring to contact us in many different ways. to assist us on our path. Find out all about the methods used to facilitate this. Chapter 53. Psychics: A search on the Internet today will reveal numerous so called “psychic services”, frequently being offered by means of “premium rate” telephone services charging several or sometimes even many dollars per minute. Discover the real truth behind many of these so called "psychic hotlines". Chapter 54. Psychic Mediums: Find out what "psychic mediums" really are, what they can genuinely offer, whether you should use such a service, and what to watch out for if you decide to do so. Do not seek a psychic medium until you have read this chapter. Chapter 55. Genuine Psychic Services: Find out what to look out for if you do decide to use any sort of "psychic service". Do not use any "psychic service" without first reading this chapter. Chapter 56. The Ouija Board: Many people innocently believe the Ouija board to be harmless fun. Discover the truth behind the Ouija board. Warning - do not use a Ouija board again until you have read this chapter - even if you dare use one again afterwards. Chapter 57. Trance Mediums: Many mediums place themselves into a state of "trance" before "channeling" information from inner sources. Learn all about trance mediums and their abilities, and the type of communications and information involved. Chapter 58. Materialisation Mediums: Materialisation is a much less common than other forms of mediumship but much more "spectacular" and compelling. Find out about this impressive and important type of Spirit communication. Chapter 59. The Direct Voice: Of all types of mediumship with materialisation, The Direct Voice, together with materialisation to which it is closely related through the medium of Ectoplasm, is one the most compelling and, from the point of view of proof of the continuity of life after the death of the physical body the most valuable. Find out about communications by The Direct Voice in this chapter. Chapter 60. Electronic Voice Phenomena: In recent years considerable progress has been made in the use of electronic instruments to record Spirit voices. This is something that anyone at all can do with the right equipment. Learn all about how EVP works in this chapter. Chapter 62. Channeling Conclusion: In this chapter we review the entire subject of channeling and what it really means to us today in real and practical terms, particularly in terms of its true value for communicating with Spirits. Chapter 63. Contact With The Inner Spheres: This is the first in a series of chapters discussing this most important subject. The future of Spiritual communication and acquiring valuable information is direct contact with the higher spheres. Discover how and why in this chapter. Chapter 64. Clairvoyance: Clairvoyance quite literally means "clear seeing" and usually refers to viewing the physical Astral Worlds beyond the limitations of space and time. Find out all about clairvoyance and how you can develop the ability of clairvoyance as well. Chapter 65. The Akashic Record: Much as been said about the "Akashic Record" or "Akashic Library" as the "Library" of the Universe where all knowledge from all planes is perpetually stored. Find out more about this great Universal information source and how it can be accessed. Chapter 66. Astral Projection: Astral Projection is by far one of the most important abilities you can learn. Discover the profound benefits of learning Astral projection in this chapter. Chapter 67. Three Astral Projection Methods: Learn the three best methods for Astral Projection so you too can enjoy the considerable benefits of this very valuable ability. Chapter 68. The Out of Body Experience: Together with Astral Projection to which it is related, The Out of Body Experience is also a very valuable ability. Learn all about the characteristics, importance and value of Out of Body Experiences. Chapter 69. Three OBE Methods: Learn the three best methods for achieving Out of Body Experiences. Once learned you will most certainly want to go "out of body" as often as possible. Chapter 70. The Near Death Experience: In addition to the self-induced methods of leaving the body, the Near Death Experience is a very similar experience but happens involuntarily in situations that result in a "temporary physical death". Discover what the "Near Death Experience" is, and what happens and is experiences in these "near death" situations. Chapter 71. Progression Through Life: Discover the truth of how and why people generally progress through each physical life and what it actually means in the great scheme of things. This is crucial information for everyone wishing to achieve true progress. Chapter 72. Deep Physical Relaxation: Learn one of the most important and fundamental abilities for a wide range of valuable experiences. Deep physical realxation is one of the prerequisites to many inner abilities. Chapter 73. Concentration: With deep physical relaxation, concentration is another very fundamental ability to learn and practice in order to achieve a wide range of inner and life-changing experiences. Discover the profound benefits of concentration. Chapter 74. The Practice of Concentration: Learn the ability of deep concentration, and start to make real progress in many important aspects of your life and evolution. Chapter 75. Meditation: Meditation is another profoundly valuable, fundamental and life-changing ability. Discover the value and benefits of meditation and what can be achieved during meditation. Chapter 76. The Practice of Meditation: Learn the practice of meditation for yourself and enjoy the considerable benefits that meditation will bring. Chapter 77. Twin-Hearts Meditation: The Twin-Hearts is a special meditation that will bring with it various specific and valuable benefits. Learn all about the Twin-Hearts Meditation and how to practice it. Chapter 78. The Human Paradox: This is an extremely important chapter that everyone should fully understand. Discover the truth of your own reality and "existence" and how to finally free yourself. "And you shall know the truth and the truth shall set you free". Chapter 79. The Eternal Now: Discover the persistent illusion of "time" and the powerful truth of "Now". Chapter 80. The Law of Attraction: The Law of Attraction is one of the most powerful and important of the Universal Principles. Everyone without exception needs to understand this important Law in order to take real control over your life, abundance, health and happiness. See introductory article on The Secret movie and The Law of Attraction. Chapter 81. The Truth About Money: Most of humanity remains a slave to the concept of "money". Discover the real truth about money and you will most certainly never look at money in the same way again. Chapter 82. The Power of Positive Thinking: Learn the importance of positive thinking and the positive influence it has over your life. Chapter 83. Affirmations: Many people have already discovered the profound impact that affirmations can have on their experience. Learn and utilise the great power of affirmations in your life. Chapter 85. Creative Visualisation: Creative Visualisation is an aspect of the imagination which, once learned, can assist you in attracting anything you wish for need or desire. Discover why this is. Chapter 86. Practice of Creative Visualisation: In this chapter you will learn how to practice creative visualisation in order to attract anything you need, wish for or desire into your life. Chapter 88. The Power of Emotions: Discover the importance of emotions in the process of creating your own reality. Chapter 89. Creating Your Own Reality: This is one of the most important chapters for those wishing to change your life for the better. To discover how to change your life for the better, and attract everything you wish for need or desire, you really must read this chapter. Chapter 91. Let Go and Let God: Learn the importance of "Let Go and Let God" in your ongoing life. Without understanding and practicing this important Principle you cannot enjoy complete success in your Life - or beyond. Chapter 92. The Joy and Power of Giving: Discover the power of giving, not only to help others, but also to attract more into your own life. Chapter 93. The Joy and Power of Healing: Discover the immense healing powers that we all potentially enjoy. Chapter 94. Pranic Healing: Pranic Healing is a form of Energy based healing. Learn more about Pranic Healing. Chapter 95. Reiki Healing: Reiki is probably the best known of Energy healing methods. Find out more about Reiki healing. Chapter 96. Healing Yourself and Others: Discover the joy and benefits of healing yourself and others. Never see a doctor again. Chapter 97. The Principles of Healing: Learn the principles of healing. Chapter 98. The Practice of Healing: In this chapter you will learn how to use Energy to heal yourself and others of any ailment over any distance. This is vital, must know information if you wish to gain total control over every aspect of your healing, health and wellbeing. Chapter 99. Living Your Own Reality: Discover the profound benefits of living your own reality instead of living your own life in accordance with the controlling influence of others! Chapter 100. Our Ultimate Destiny: Find out about our ultimate destiny as Spiritual human beings. This is a chapter that everyone must read. Chapter 102. Subjugating the Ego: This is yet another extremely important chapter for your ongoing Spiritual evolution. Discover the great importance of subjugating the demands of the ego. True progress cannot be made without subjugation of the Ego. Chapter 103. Practice of Subjugating the Ego: In this chapter you will learn the vital knowledge required for exactly how to transcend the demands of the Ego. 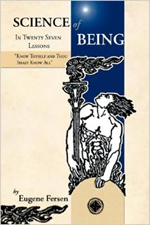 Again, true progress is just not possible without subjugating the Ego, and therefore this chapter is absolutely vital reading for everyone wishing to make true progress and achieve further Spiritual evolution - and that should mean you. Chapter 104. Equilibrium of the Soul: This. together with subjugation of the Ego, is another extremely important aspect of true evolution. In order to progress you need to balance the attributes of your Soul. Discover exactly how in this chapter. Chapter 105. Transmutation of Negative Attributes: Autosuggestion is related to, but not the same as affirmations. Learn how you can use autosuggestion to make positive changes in your life by transmuting negative attributes into their polar opposite positive attributes. Chapter 106. Dreams: Your dreams are potentially an extremely important indicator of your life experiences as well as past, present and future situations. Learn all about the importance of dreams in this chapter. Chapter 107. The Dream Journal: To maximise the benefit of your dreams a dream journal is very important. Discover why this is and how you can start to remember and record your dreams. Chapter 108. The Inner Voice: Another extremely important chapter! Learning how to hear and heed the inner voice is extremely important both in your physical life, and for your onwards and inwards progression. Learn why this is so and what you can do and learn how to hear and interpret the messages of the inner voice to profoundly influence your life for the better. Chapter 109. The Flow of Life: Learn about the perfect flow of life in the Universe, how it affects you and where everything fits into the Divine order of the Universe. Chapter 115. Our Ultimate Reality: And finally discover our true purpose, Our Ultimate Reality. 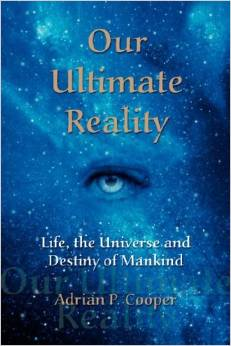 Our Ultimate Reality, Life, The Universe And Destiny Of Mankind.